Rambler Plays Games: This Game is Fun I Swear! This Game is Fun I Swear! I'm forever apologizing for my board games. What caught my eye about this game was the message in the dead-center of the box cover. What did the designers choose to do with this important piece of real-estate? Did they put a flashy graphic there or some gripping catchphrase like: "Play Camelot and you'll be using your Lance A Lot!" No, they didn't do any of that. Instead, they used the most important area of the box to plead with you, the potential buyer, begging you to give this game a chance by insisting that it is "Quickly and Easily Learned." It's as if they are shouting: Hey, you there! Please don't walk away - this game is fun, we swear! It's easy to learn! Come back! Here is a game that, according to BGG, was published in 1930 but originally designed in 1888. 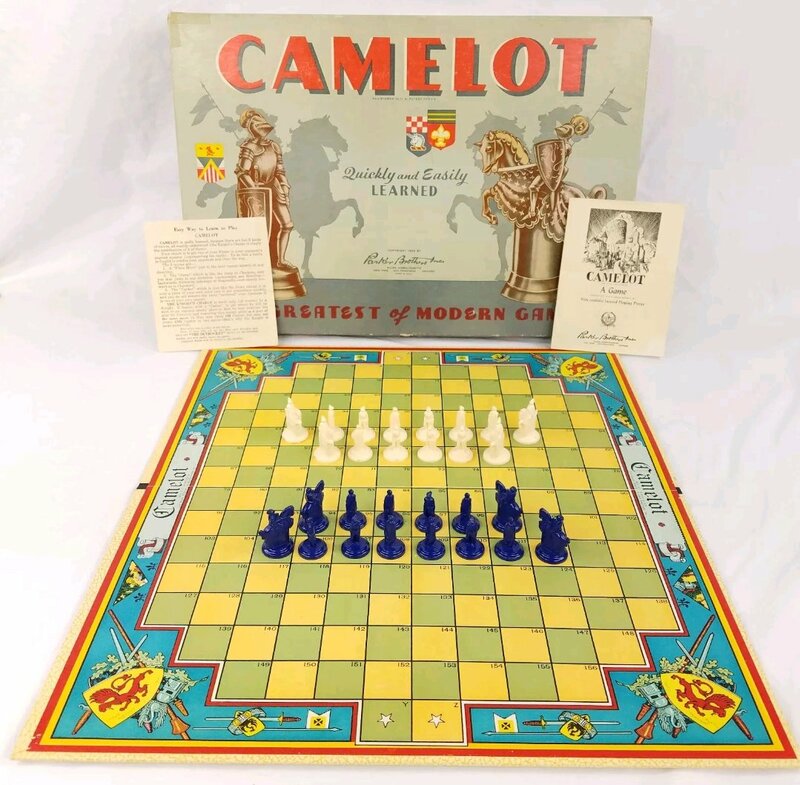 As best I can tell plays similar to Chinese Checkers (but with the ability to capture pieces) and is also playable by eight year olds, yet the designers clearly felt that "ease of play" was a big selling point and potential barrier to buyers. So apparently board games have always had this stigma, and been associated with this idea that their rules are difficult and esoteric. I think this stigma, more than anything that actually exists within the rules of most games, is what holds so many people back. Some people take one look at the components for a game and start shaking their heads, convinced they will never understand this game no matter how many eight year olds can play it. Knowing that most people feel this way often discourages me from trying to teach people how to play certain games. I know that I'm not alone in this either, because there is a whole sub-category of games known to board gamers as "gateway games." Things like Ticket to Ride and Settlers of Catan. The one thing that all of these games have in common is that they are all "quickly and easily learned." I don't suppose I have a point, or a solution, but I do wonder what we as board gamers can do to make our hobby more accessible to the millions of people out there who don't even realize that games besides the ones they played as kids even exist, and who also immediately assume that these games (when they learn about them) are too difficult and arcane for them.